The Lakers have reportedly been scouting Houston Rockets’ Carmelo Anthony to come in to the team. According to The Athletic’s Joe Vardon, LeBron James seems to be the main contributor on bringing the injury-prone player to the team. 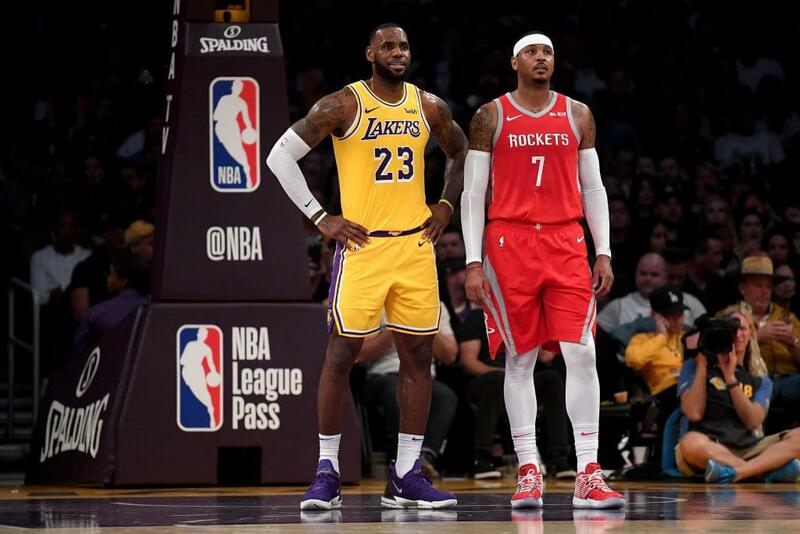 Marc Stein of the New York Times says the Lakers were “staunchly against the idea of adding Carmelo Anthony” for the next season, but since Michael Beasley hasn’t been working out, they’re willing to give Melo a shot. The Rockets are set to play the Lakers on Thursday, December 13 airing on TNT at 5pm PST.